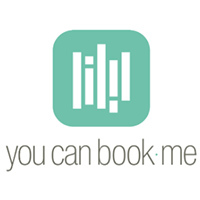 BookedIN is a cloud-based appointment scheduling software that allows users to manage bookings and process payments. It can be used by a wide range of businesses such as barber shops, hair salons, spas, photography services, tattoo shops, and more. We compiled BookedIN user reviews from around the web and determined that it has generally positive ratings. We also shared its available pricing options. Users who recommended BookedIN said that it is very easy and simple to use. Some of them also commended the great customer service. Users who gave BookedIN negative reviews complained that they cannot view appointments without an internet connection. Some of them also said that BookedIn has to expand its features to include functionalities such as multiple client bookings. A user who left a positive review on GetApp said that BookedIN keeps their team organized through an efficient booking system. He said that he prefers online bookings than traditional phone calls to schedule appointments. A user who left a negative review of BookIN on GetApp said that the software has no option to attach a client’s photo, which could be very useful. He also complained about occasional technical difficulties including times when he could not connect to the server, causing disruption to their booking process. BookedIN offers two plans: Just the Basics (free) and Sky is the Limit (starts at $29/month). The main differences between the plans include the number of calendars that users can access and the frequency of bookings. 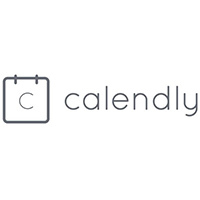 Each calendar equates to one user access. *Annual subscriptions are billed on lump sum, and users are only billed once a year. Check out the list below of some of BookedIN’s features. How does BookedIN help in marketing a business? The BookedIN Client Scheduling Page and directory listing help businesses get ranked on popular search engines like Google, Yahoo, and Bing. How does BookedIN help manage staff? If there are changes in the schedule, bookings, or appointments, BookedIN sends a mobile app notification and an email to all involved staff members. This helps keep the team organized. This video provides an overview on how BookedIN makes it easy to manage appointments online. Not sure if BookedIN is the right fit for you? 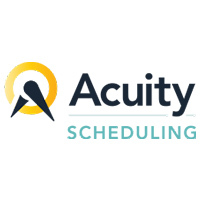 Read our reviews of all top appointment scheduling software or check out one of these three BookedIN alternatives. They have great customer service, a lot of features, and the software is very user friendly for both the company and their clients. I believe I knew everything I needed to know, but didn’t realize how handy the lacking features would be.